For over the ear style/full size headphones–fully surround your ears, combined both features ANC and audio performance the SONY 1000X M3 is the best wireless noise cancelling headphones on the market right now. It gained that reward for the premium sound over Bluetooth with LDAC, effectiveness of ANC, quick charging feature, touch control and elegant design. Along with some handful extra features like ease of tapping to connect with NFC (Near Field Communication) and folding up design, it’s extremely comfortable too. Finally there is a headphone that can best Bose QC35 II for both comfort and performance, that is the SONY 1000X M3 and it packs a lot of features – you may be confused at first time use. The adaptive noise-canceling feature lets users control the NC level by app, and with the surrounding atmospheric pressure, the headphone will optimize the NC according to users’s ear and atmospheric pressure, for example on the plane the headphone will detect atmospheric pressure condition and adjust to optimum NC. Both are excellent wireless NC headphones but there are some key features the M3 bests the M2, which includes comfort and noise cancellation. For the sound quality they got the same rating for bright highs, deep, punchy bass and warm midrange and these criteria are better than Bose QC35 II. The Cowin E7’s sound quality and performance is way more expensive than what you paid for it. At the time of review, this can get over 7000 reviews on Amazon with more than 4 stars rating. We found no difference between wired and wireless listening, the sound quality is almost the same. But beween active and non-NC there is a difference, not remarkly. When NC is OFF: strong bass, exciting treble, the transition between upper bass and mid-range is smooth, but low-bass iss easy to get lost its definition and dynamic. Bose owns the best NC technology and they are committed to continiously innovate and implement this feature on their headphones, it work just perfect no matter type of headphones (Bose QC20 in ear, QC30 around the neck). The Bose QuietComfort 35 is the over ear wireless NC headphone that sound great and have stellar NC performance. It is also exceptionally comfortable and the build quality is worth much more than what you pay for. On hand, the headphone feels pretty smooth and premium, into the details you would notice their polished plastic, foam earcup padding and responsive buttons. There’s no denying that Momentum Wireless 2 is a rare breed of audio devices that sucessfully put both features, ANC and Wireless to work great together. The Sennheiser label is a household name when it comes to the audio industry. And as far as the Momentum Wireless 2.0 is concerned, it’s clear that they still lived up to their reputation even after cutting the wires and replacing the connectivity with a Bluetooth module. The first thing you notice after prying the Momentum 2.0 out of its box is the subtle and minimalistic design that manages to fuse together vintage classism and modern vogue. The rippled leather band that runs around the headband, which is complemented by sparkling rivets that populate the interior, shows the extent that Sennheiser went to give these headphones a premium look and feel. Easily tap to connect the headphone to your laptop or smartphone by NFC and you’ll begin to understand why these pair of cans might cost more than $400. On that note, Sennheiser’s famous NoiseGard returns here reminding you that they are still one of the best when it comes to almost total active noise cancellation-top notch. Combine that with calming serenity achieved by the well-padded leather ear cups, and you have yourself a stellar sound reproduction that evokes the aura of an opera house or a high-end recording studio. While we applaud the Sennheiser for superior Bluetooth range that allows up to 10 metres of roaming, the ANC is always ON when you put them in wireless mode. The bass from these cans is a bit too heavy that it at times muffles out the treble. In addition, it is too pricey. Well, if you think it is too much to spend on Momentum Wireless 2, there are two other you can pick, Samsung Level Over and Beats Studio Wireless. 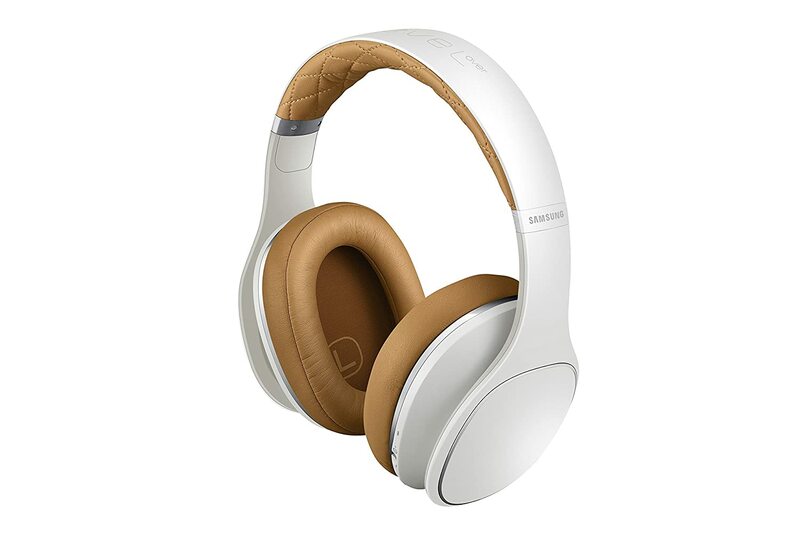 The Samsung Level is a lightweight and attractive headphone. On picking up these headphones, the quilted pattern, backed with a matte finish does a lot to reassure you that the $350 price is well-worth it. However, put them on, and the luxurious meaning of premium headphones starts to sink in. Noise cancellation of the Samsung Level is above par, considering that the option to toggle it ON/OFF is also included here. Certainly it does a galactic job in eliminating broad bands of ambient audio. In term of sound quality, though it also incorporates AptX, the Level sounds decent and is not as good as the Sennheiser’s, but it is a steal for a wireless headphones that costs around $350. Like other cans in this list if you are looking for an upbeat heavy bass, then you might want to steer clear of the Samsung Level Over. The noise-cancellation obviously works, but it’s merely above average, not as effective as wired Bose QC 20 headphones or Momentum Wireless 2 we expected. But the Level sounds a little bit better than Bose. The Linner NC50 is a NC, around-the neck headphone that you can wear for sports, you can pick the right fit from 5 different pairs of earhooks. The headphone itself looks much like BeatsX but bulkier. The band is very durable and flexible, you can easily to stuff them in the carrying case. It has solid Bluetooth connection and 24 hours of battery which is enough for your long-haul flights. The NC performance isn’t great, but they do the job. Because the headphones does isolate the ambient sound, adding the ANC feature just improves a bit that isolation. The bass is bunchy, the mid-range is prominent and clear treble. Pros: Strong battery, powerful bass, sweat-proofing feature and secure fit are great for sports. Cons: Beeping sound once you press the button is sometimes annoying. 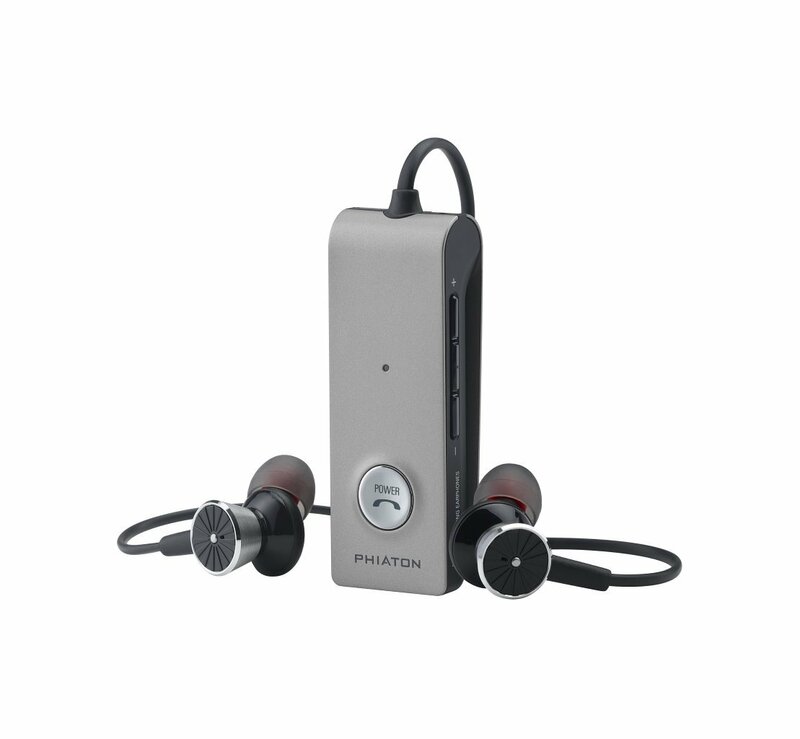 Designed for the portability and functionality, the Phiaton BT 220 still includes the matte silver control unit – battery box. Besides, the ‘half-in-ear’ design used here accords the user the flexibility of both a canalphone and a typical earbud as it goes deeper into the ear. On top of that, for a Bluetooth headphones, the active noise cancellation can’t get any better than with the Phiaton, thanks to the ergonomic earbuds that clamp the lobes comfortably. It is, however, the robust 14.3mm drivers that add the much-needed boost required to reproduce sound as accurately and clearly as any other high-end (over-the-ear) headphone. The treble is a little over-exaggerated here. Only those of us with a keen ear for studio quality sound are likely to notice this. Given that the Phiaton has a smaller battery and an equally less powerful wireless circuitry, it is has a smaller range of portability. Nevertheless, they will work just fine if you’re the type who carries their phone in the pocket and not in the backpack. Sometimes, I dont like the music filled with a lot of bass, actually it doesn’t need to in some genres, and Pt is a show case–pleasant bass, not in the intensive way. And for the avid audiophile, nothing brings greater joy and freedom than been able to enjoy hush ambient bass punctuated by well-defined trebles, without the nuisance of long cords and wires. Such is the luxury accorded by some of the best wireless noise cancelling headphones available in the market today. Tell us what you think about these headphones by leaving comments below. All information in this post comes from CNET, The WireCutter, and other trust resources. After aproximately 2 days of research, I put all together about reviews of the best wireless noise cancelling you could find on the internet. A note that Sony 1000X M3 features USB-C port for charging and the quick-charging feature gives 5 hours of listening music with just 10-minute charge. Noise cancelling performance NC can be adjustable on app Comparable to Bose, the SONY 1000X M3 catches up and even does a better job for drowning the noise out. The Bose QC 35 II weighs 235 grams. QC35 II is superb comfortable. The earcup, padding and headband design is perfect. Weighed at 254 grams – though heavier 20 grams than Bose QC 35II, but we think they are equally comfortble. Sound quality Balanced sounding profile, though the sound is less clear and open than Sony 1000X M3, but it is pleasant to listen to. The bass of M3 is strong and punchy, and feels energetic. The sound is natural and better defined than Bose for the same tracks we tested. You don’t need to use buttons to adjust the noise cancelling level, which can be done via Bose Connect app. Smooth touch control on earcup, if you want to hear the outside world just hold the earcup with touch control, this is a very nice feature. You can customize the automatic-shut off function, either let’s them turn off or NC-on when you don’t listen to the music. Calls Work great for calls, it is better than Sony 1000X M3 for voice calls. The headset function of M3 and Bose are arguably identical, Sony engineers claimed the M3 has improved call quality with multi-microphone array. *The price at the time of writing, it is a subject to change. While folks believe that most Beat. by Dry headphones pump a lot of bass and sometimes overwhelm the music. The Studio represents something different, and it was engineered much better than other Beat Bluetooth headphones to keep all ranges tuned equally, and CNET reviewed it has a balanced sound profile. The true downside is that if you have a big ears that since the earcups are quite small, they won’t fully surround and cause discomfort for long listening sessions. Additionally, the white noise presents at somewhat a noticable level. Earbuds is another type of headphones that are smaller and more portable, check out The Best Noise-Cancelling Earbuds, which we included all top picks, both wired and wireless models. One of which is Phiaton BT 220. Though its name indicates the on-ear style but the Sony MDR-100ABN h.ear on Wireless is a full-sized, NC, Bluetooth Headphones. Its has the same build quality as the Momentum Wireless 2 (our previous pick) – metal headband with leather vs the plastic build with padding and is very comfortable to wear, I don’t feel any pressure on my ears for a few hours wearing this can. The connection is solid whether it pairs with Android or iOS phones. I haven’t experienced any hiccup or sound delay. Supported by LDAC, the audio transmition standard, which can make the Bluetooth sound better, but it only works with high-end Sony portable MP3 player and Xperia phones. 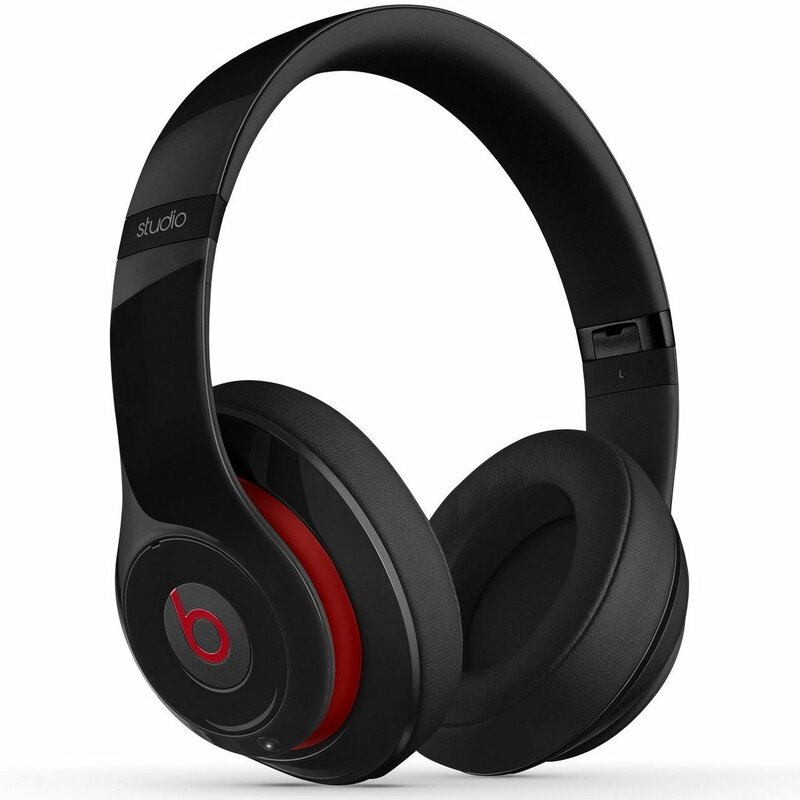 Beats Studio3 Wireless: A good pick for the price over Sony WH-1000XM3 and Bose QuietComfort 35 II. Apple upgraded Beats Studio3 for both tech, sound and noise cancelling performance. With built-in W1 chipset Studio3 Wireless can effortlessly connect any Apple devices using the same icloud ID. The chipset also help manage battery usage so Studio3 has a better battery life and the quick charging feature give the headphone three hours of battery life when charged in 10 minutes. Though Beats ultilizes Pure ANC, which tracks the ambient sounds and adjust the noise cancelling capacity, the NC performance isn’t on par with our top picks. Like previous version, Studio3 is not foldable, making it less portable. The bass of Studio2 is more crisp and added more bass quality than Studio2 and it is comparable to Sony WH-1000XM3. If you are on the budget the Mpow H5 offers great value (NC, sound and comfort) for the price. The bass is good, but a bit bloating. Design: Headband is foldable and expendable, quite comfortable. The Mpow H3 has a decent build quality, the padding won’t last long as our top picks. The LDAC™ is a new technology developed by Sony that allows the transmission of audio data at 990kbps over Bluetooth. This is three times higher than conventional Bluetooth at 328kbps. Hey Josiah! Great list! This is very detailed and comprehensive. It is always good to consider comfort especially when you’re using headphones a lot. Thank you for sharing.